Athens, Greece’s ancient and storied capital city, stands as each a ruin, relic, and reminder of what great travel is to astute explorers. 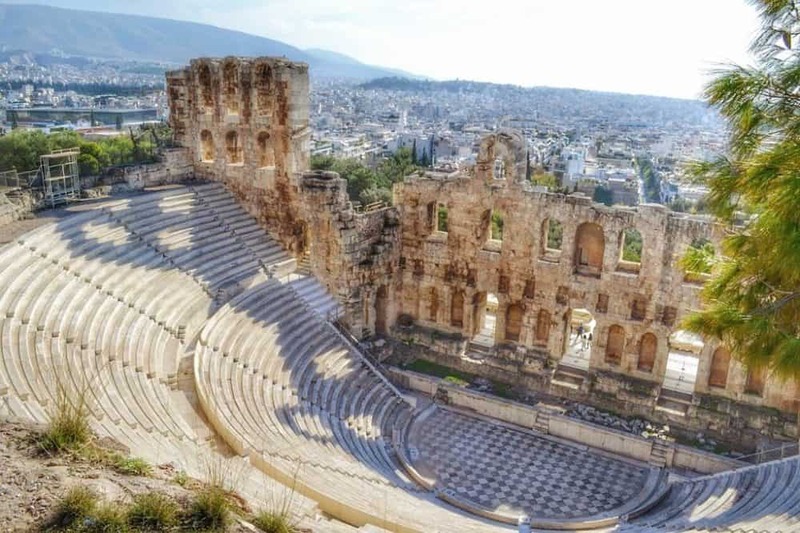 The cradle of Western Civilization, Athens is one of those rare behemoths of bucket list destinations that contains it all – art, history, beautiful weather, food, and generous people. 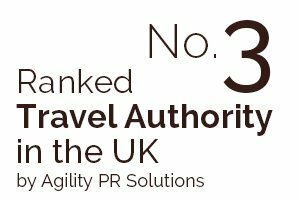 Yet, Athens is also frequently visited with little time to spare. Given its position as a jumping-off point for Greek Island cruises (which are targeted by more than 20 million tourists each year), many fly into the historic city and in the wink of an eye are gone again. Fret not, as the depth of Athens can be explored and conquered by savvy travellers in just a few days. So, before you set off to Santorini or Mykonos, here’s how to spend those precious 48 hours in Athens! Centrally located at the foot of the rocky outcrop which hoists the Acropolis is the historical neighbourhood of Plaka. Known as the “Neighborhood of the Gods” due to its proximity to so many archaeological sites, Plaka is today a beautiful, quaint district that houses shops, restaurants, museums, and (of course) ancient ruins such as the Roman Agora. One of the many reasons that Athens, and in fact all of Greece, is popular is the food. 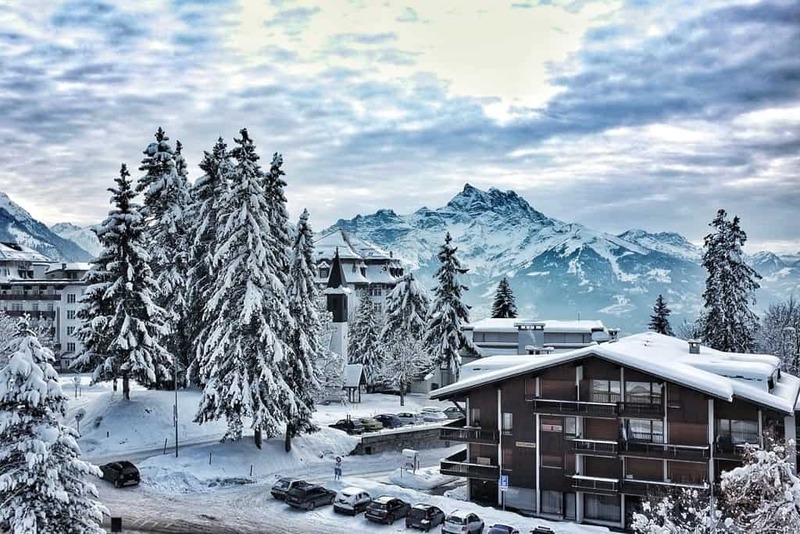 The unique tastes and flavour profiles are ideal to the foodie, the connoisseur, or the discerning traveller who simply wants to experience some of the world’s best cuisine. 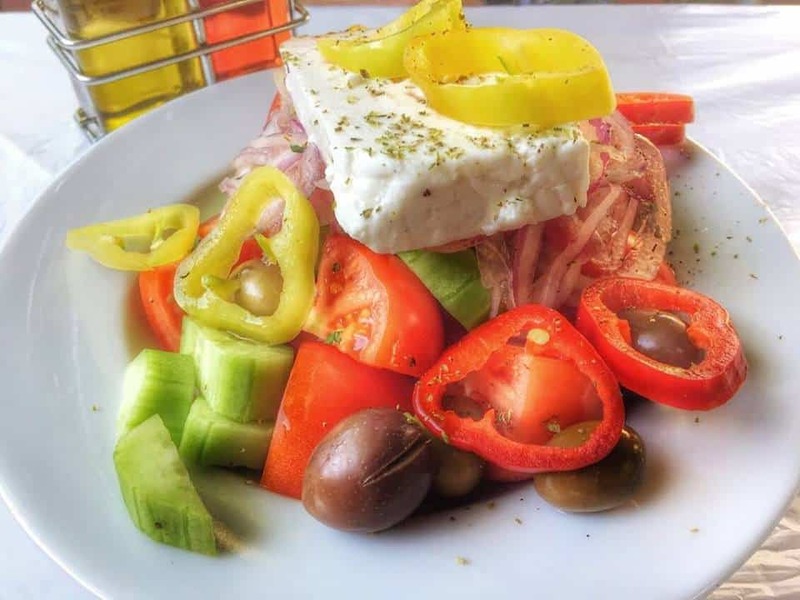 One of our favourites is Liondi Traditional Greek Restaurant, located outside the Acropolis museum. 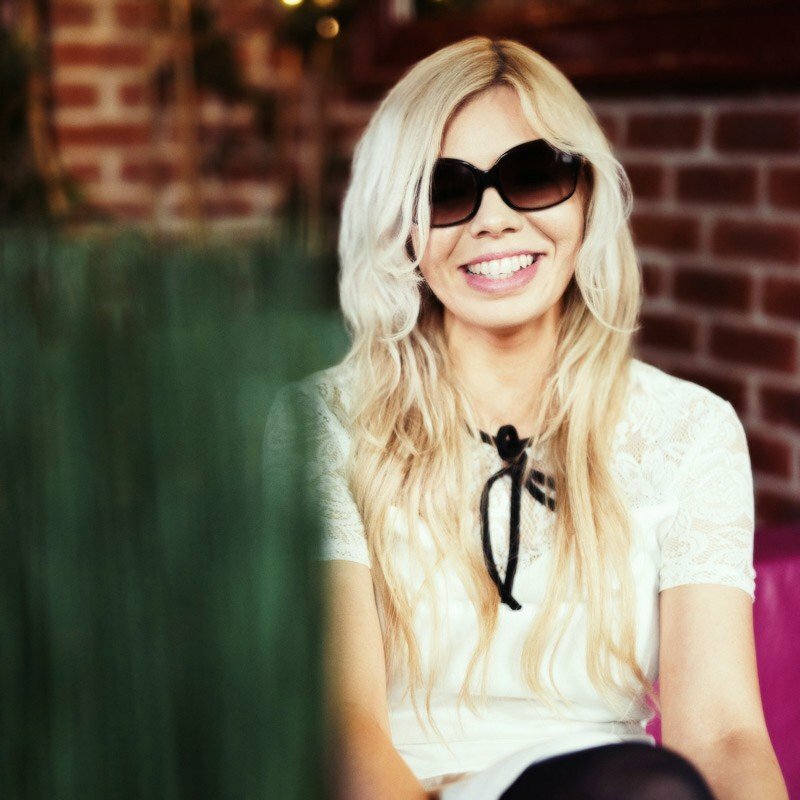 Whether it’s a traditional gyro or simply a fresh Greek salad and a glass of wine you want, you’ll enjoy people watching from this scenic area as the day grows long. Of course, there’s always the more traditional and tourist-friendly way to dine in the Plaka district – on foot! At any number of pop-up shops, traditional favourites as gyros, falafel, spanakopita, or dolmades can be quickly purchased and taken along the way! This is an ideal and common way to enjoy a meal in Athens, and you might want the option of staying mobile with limited time to spare! 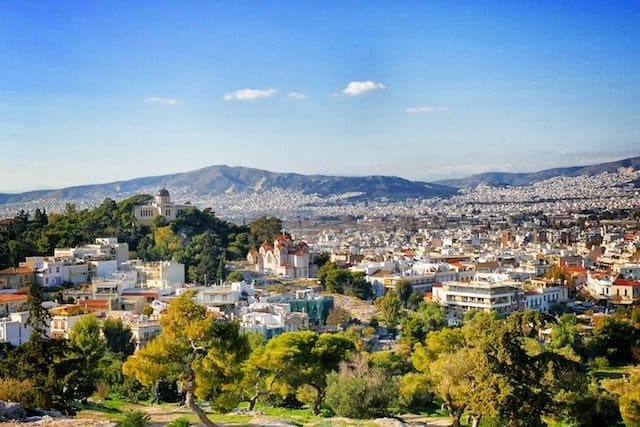 One of the best things about Plaka is also what makes it the ideal place to stay in Athens – affordability. In general, a hotel in the Plaka district (such as the aptly named Plaka Hotel, only a few steps away from the Roman Agora), will only run you about €40 per night. 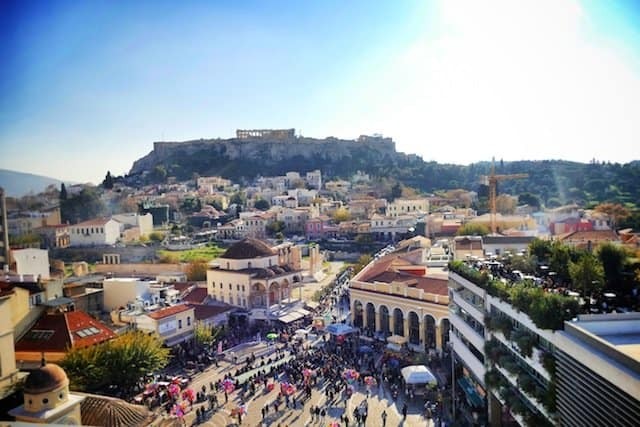 This is the area to truly “anchor” your stay, as Plaka is central to three primary areas you’ll want to visit while in Athens – Syntagma, Monastiraki, and the Acropolis. The Acropolis is an ancient citadel that has remained sitting high above the city of Athens for around 3,000 years. While most who haven’t been to Athens automatically assume that the Acropolis refers to a specific monument or statue on this high hill, the term “Acropolis” actually means “highest point” in Greek, and rather refers to the collective hilltop statues, buildings, and structures present atop this hill. Originally conceived and designed by the Greek statesman Pericles, the ruins and structures found here are iconic. They represent not only a history that we look back upon, but the time in which man’s intellect seems to burgeon from powerful fonts of knowledge that were changing not only Greece, but humanity. The names are ubiquitous – The Parthenon, Erectheum, The Propylaea, Temple of Athena, The Theatre of Dionysus, Odeon of Pericles, and many others. In total, the Acropolis hilltop and lower courting contain 21 primary archaeological remains that rank alongside anything found in Cairo or Rome. While man learned to think greatly, he also learned to dream, and as a result created massive structures to honour their Gods, their natures, and their evolution. 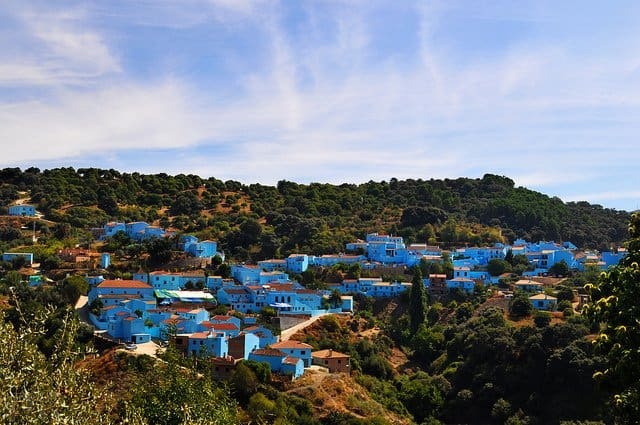 If you want a more structured tour of Athens or one of the Greeks islands (if you’re planning to go further afield) then RoutePerfect offer trip itineraries based on your budget, preferences and style. The history of Greece, and more specifically Athens, isn’t all about days bygone, however. Since the famed glory days of Pericles, Pythagoras, and Plato, Athens has encountered one of the most rapid expansions of any national capital in recent memory – having gone from a mere hillside village to a sprawling metropolis of more than eight million people in just over a century. In fact, it was a shift back to former ideals after more than 300 years of Turkish occupation ended in 1833 that led to tiny Athens being named the Greek capital after the Greek Wars of Independence concluded. 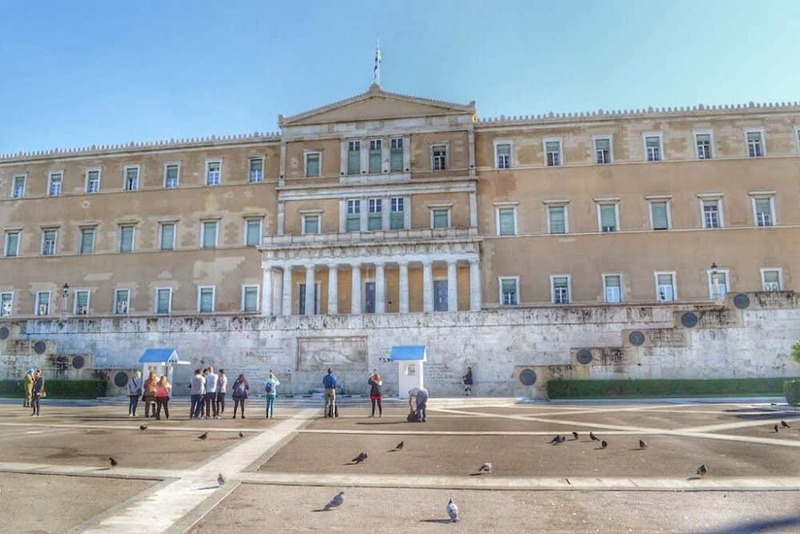 Once the city was positioned as the new governmental body, the newest Greek classical building was erected on Syntagma Square (Syntagma being Greek for Constitution), which stands today as the beginning of a new Athenian era. Today, Athenians celebrate their history at Syntagma Square each day in an elaborate “changing of the guards” ceremony, as traditionally-dressed guards proceed in a march of freedom at the tomb of the unknown soldier. It’s one of the more recent Athens traditions, reminding one that the Athenians didn’t simply cease progressing after the classical time of its masters, but have rather been on a continuous journey of evolution, discovery, and independence for even the past 200 years. The perspective during this deeply symbolic ceremony, an appreciation of the past with a first grasp on the continual prosperity of a strong, independent Greece! When people think of Athens, they undoubtedly think of Plato, famous Greek Gods such as Athena (for whom the city was named), the foundation of democracy, and, of course… flea markets?The Monastiraki Market, located on the edge of Monastiraki near Plaka, is an expansive collection of shops, stores, pop-up stands, antique dealers, and food stands that is a local treasure. One of the more charming displays in the market was the larger central area, where locals brought antique pieces such as clocks, books (in Greek, of course), bar signs, silverware, and even heirlooms to be sold in an auctioned market atmosphere, where you can negotiate prices. Not only can you find overlooked (and sometimes quite valuable) antiques, but there’s an extremely broad variety for vast creative types from musician and jewelry makers to painters, sculptors and even chefs. 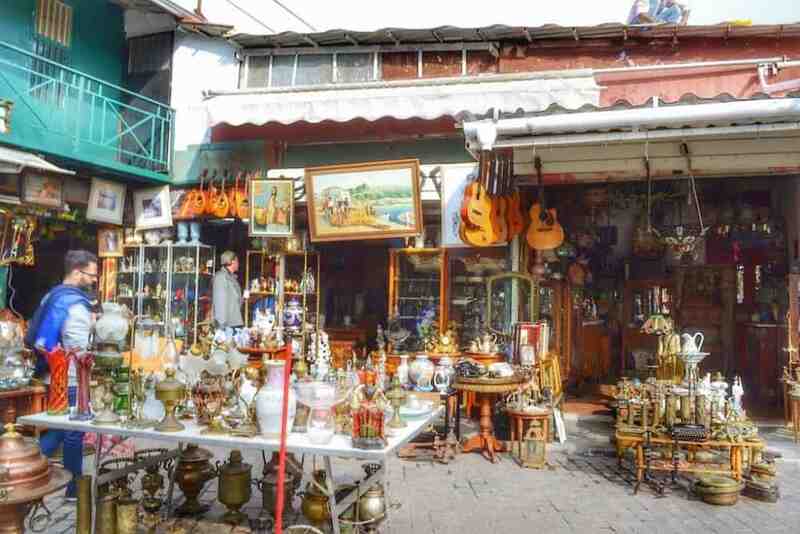 If you’re a traveller to loves diving headlong into the culture, mixing with the locals and having an authentic experience, you’re made for Monastiraki Market. 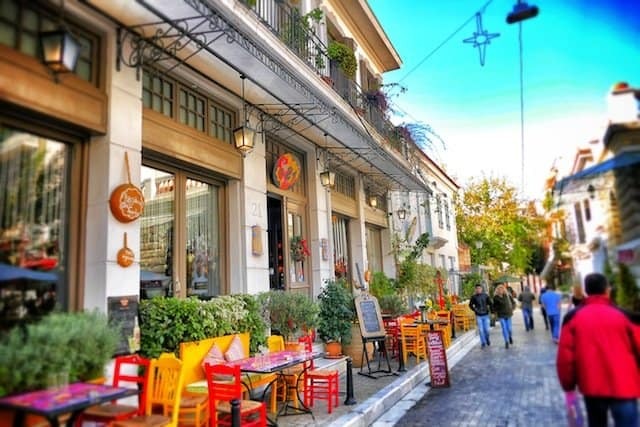 While Monastiraki is known locally for the market that shares its name with this cool, casual district of art lovers, foodies, and hipsters, there’s much more to the district. In fact, when the day wanes and the market closes, you’re going to want something to eat and drink! The relaxed, idyllic daytime atmosphere of Monastiraki gives way to a bustling, vibrant hum when the lights come on at night. 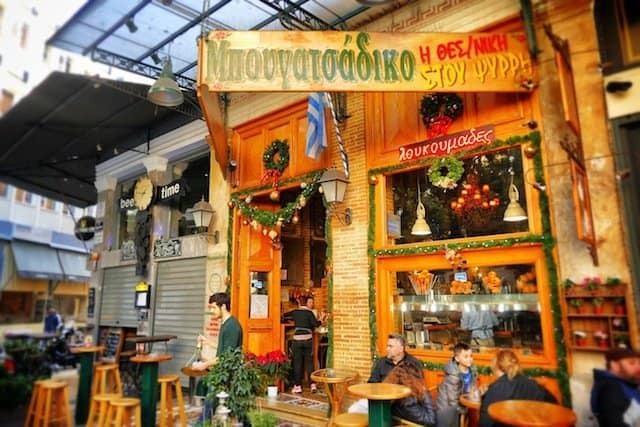 It’s here when dozens of hip and stylish bistros, bars, and restaurants swing open their doors, making Monastiraki the best place to bar-hop in Athens. Our favorite spot was Spollati, near the Church St. Irene on Athinaidos. Spollati is namely a mixology bar with great food, but one that also has a beautiful setting under groves and a central gathering place that is central to Monastiraki, yet out of the way and not obviously found. This back-street courtyard area is also shared with a hip coffee roastery and mixology bar with nightly DJs called Tailor Made, which is another trendy location that makes one feel as though you’re in Barcelona instead of Athena! Nearby are popular and classic bars in the area that make for an easy hop through the Athens streets, such as Monk Grapes and Spirits, ZAF Café, and another favorite – the Poems n’ Crimes Art Bar, a truly unique environment that plays on the Athenian spirit of music, literature, and philosophy in its décor and drink. If you’re looking for somewhere to truly feel the uniqueness of Athens, each in its brilliance, spirit, and whimsy, Monastiraki at night is a must! The most common way of getting to Athens is by flight from a nearby larger city – most commonly Rome. As Athens is a bit geographically isolated from other countries, being south in the southernmost country in Europe and surrounded by a vast expanse of islands, you’ll most consistently arrive via Aegean Airlines. While getting to Athens is a fairly straight-forward process, there’s nothing simple about one of the most decorated and deep cities in the annals of human history. 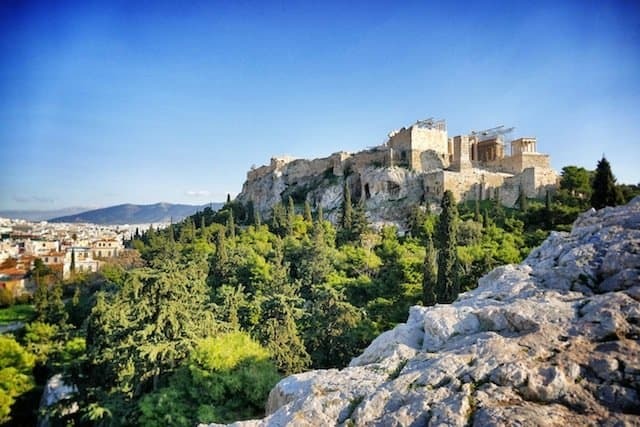 Unlike the stone monuments which crown her hills and the stories that paint the history books, Athens is as much alive now as 3,000 years ago, and continues to flower, evolve, and carve out new legacies even today. All words and images 4, 7, 8, 10 by Justin and Tracy Uselton. 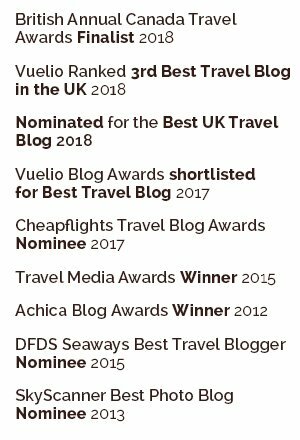 They own A Couple for the Road, a cultural travel blog celebrating international art, history, architecture, music, language, and culinary traditions. 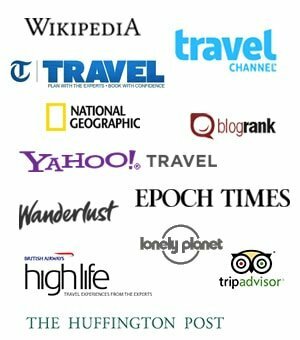 They seek to enlighten, inspire, and educate the reader on cultural treasures around the world! Really love this post! Athens is such a great city! 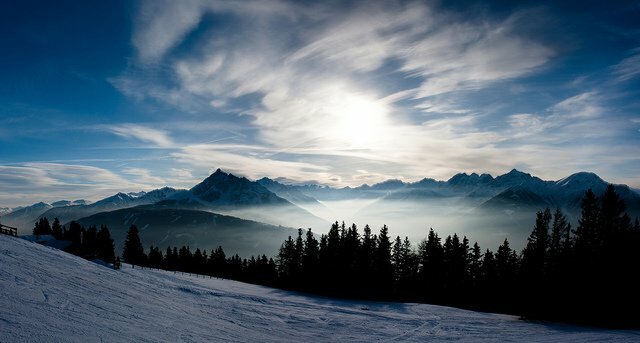 Great Post, its looks amazing and the photos are beautiful. Well said, Becky so we’re also planning to visit Athens coming this year. So this post will guide me to spend the hours. Nice post. I am planning to visit Athens this year December. Please guide me the correct time to visit this wonderful city with family. Thanks in advance.